On to round 2 of the JCCS coverage. 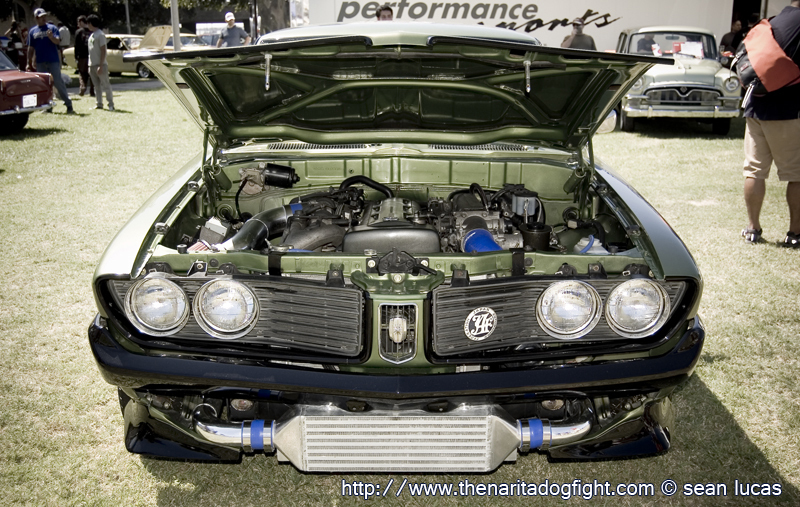 Like I mentioned in the previous post, engine swaps are all to common at this show; and this coupe is no exception. This is Steve’s car. 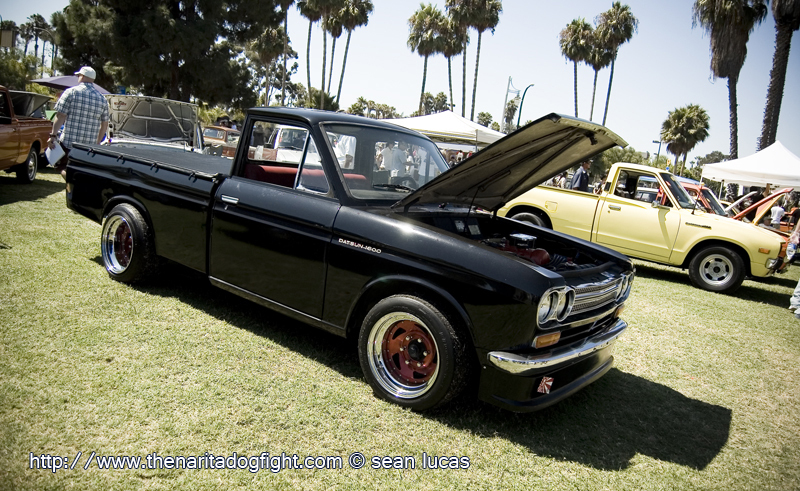 Steve drove 2,000 miles from Alberta, Canada to show at Long Beach. This is the way I like to see cars; put to use! As if that wasn’t special enough, Steve had something out of the ordinary at the disposal of his right foot. How does 260 ft/lb.’s of torque sound? 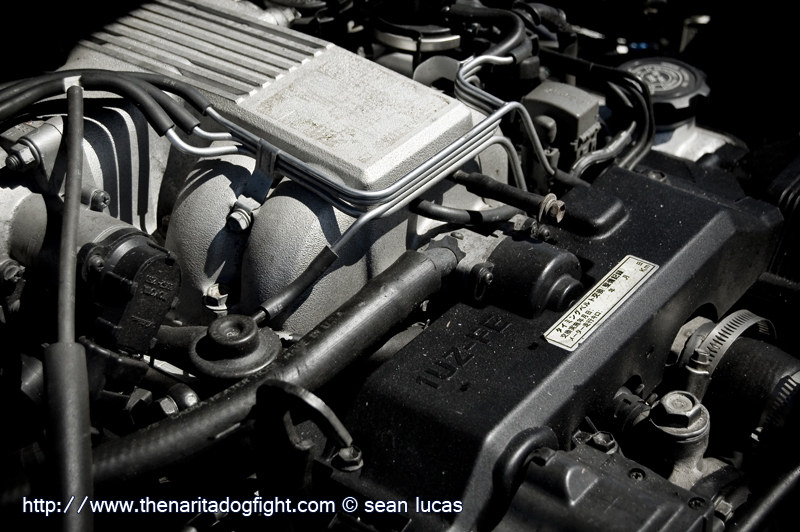 Yup, a 4.0 liter, V8 taken from a LS400 sits in place of the stock engine. I got to talk to Steve for a little bit, and to my surprise, he said that the first generation UZ engine fit rather easily in the bay. The less than clean power maker. Thanks for making the trek all the way from Canada, and getting your gold Works all dirty for us! I remember seeing this guy at Nisei last month in LA. Still looking as good as ever with F20 in the bay. Speaking of F20 swaps. Here is another well executed example of inter-species love. I like the dark bronze on black. Perfect combo. And a matching cluster to boot. If you didn’t know this car, you do now. 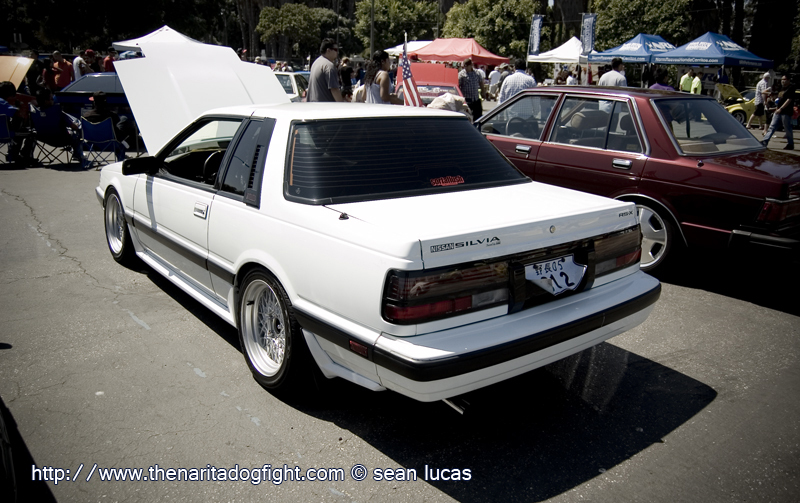 Another Heartbreaker ride; Henry Nguyen’s Nissan S12. That’s right, it’s not a Toyota. I won’t whore this car out here because Speedhunters already has a great feature on it, with some fantastic photos. Check it out if you haven’t yet! 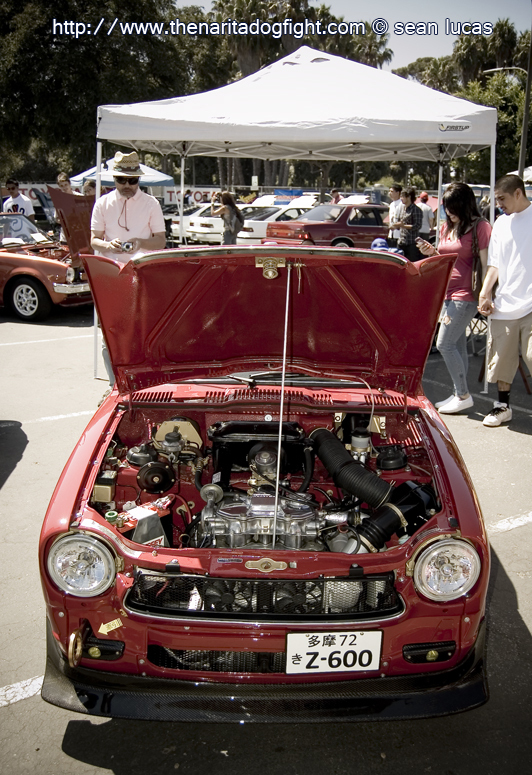 …because it had a RB26 crammed into it. An U.P. Garage creation. Out of all the mega-compact coupes, this one caught my eye the most. It was decked out in some series race parts. Rather odd to see one as aggressive looking as this! They always seem so innocent. 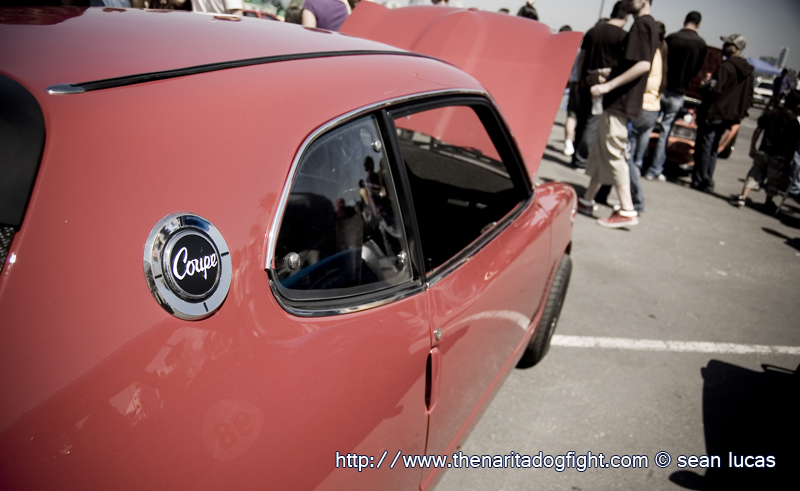 Gotta love the original Coupe badge. Give’s a nice touch of old school to compliment the new parts added. 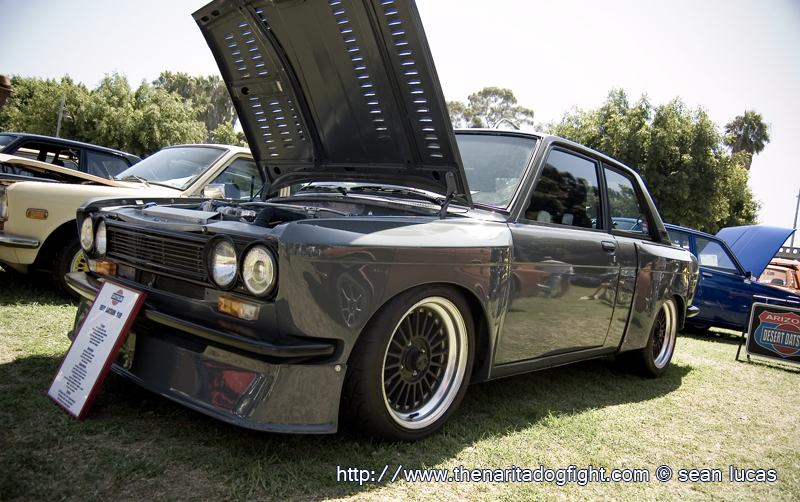 This grey, wide-bodied 510 was sitting strong. A good helping of trucks were at the show as well. 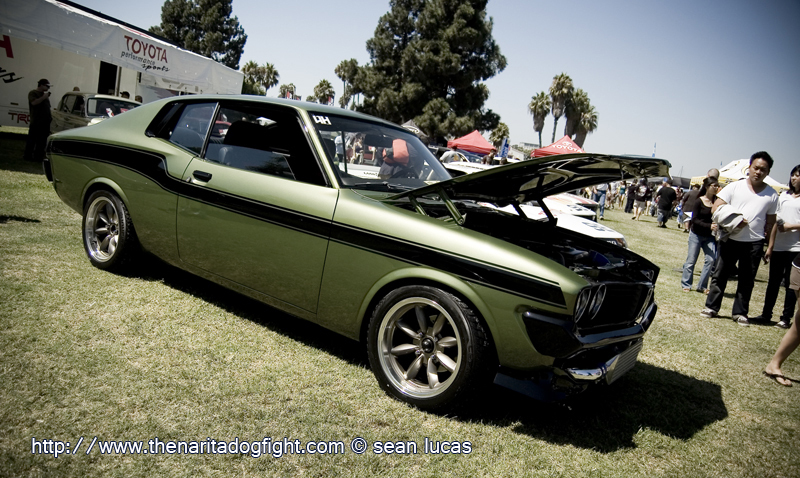 It looks as if the owner of this Corona had American Muscle styling in mind during his build. It had the power to match the looks too. 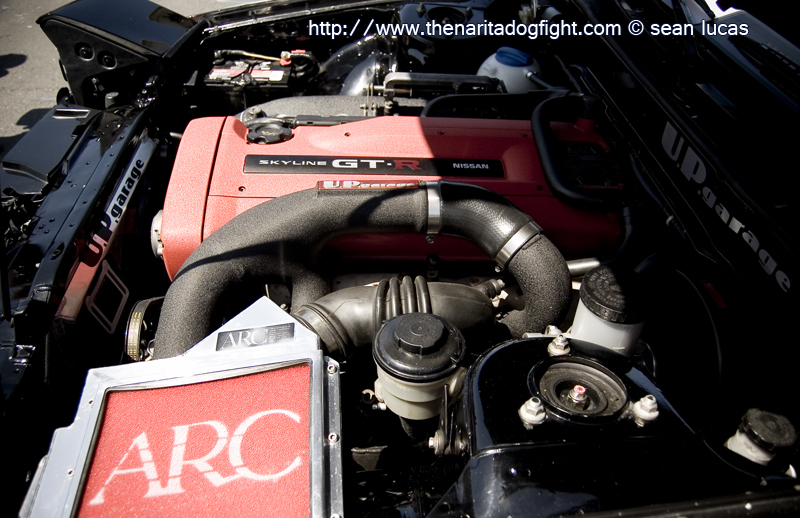 A 2JZ supplied the power for the Toyota. The JAF emblem was a nice touch. OK Narita Dog Fighters! That’s it for part 2 of JCCS coverage. Be sure to check back soon for the third and final post from THE best classic car show in the states. 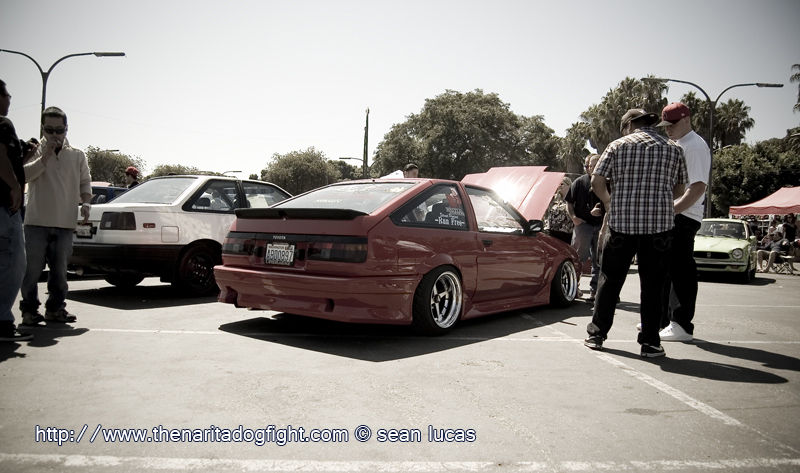 I’ll have more of this awesome hatch, a special spotlight on an old school Celica, and a few more surprises. Stay tuned! 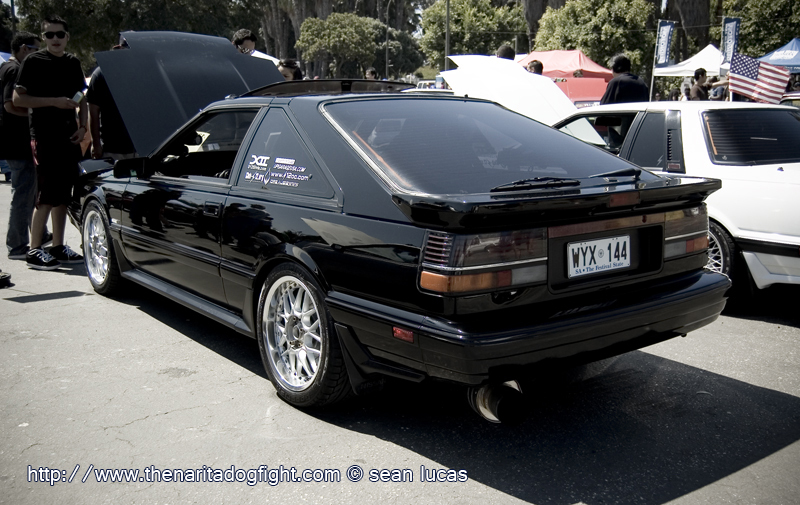 I really need to get some sort of old school japanese car. 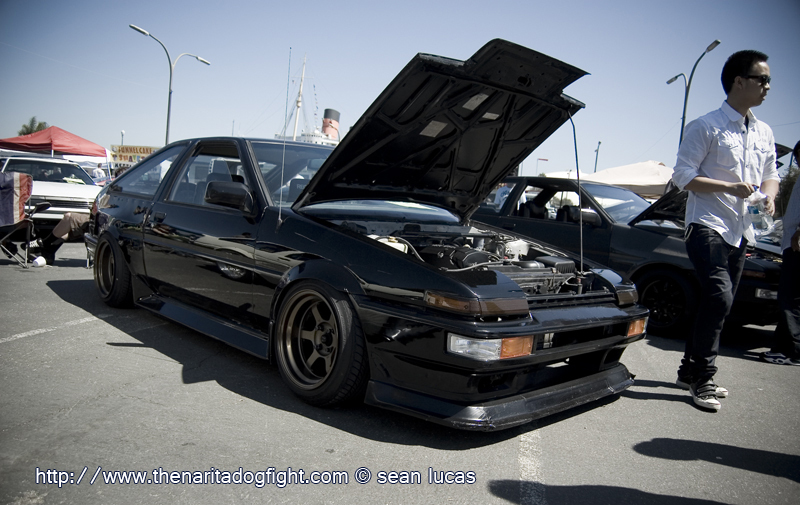 The ae86 on my parents’ street will do. Or maybe an old Cressida wagon. Yeah, this show leaves me wanting one too.